A large proportion of our business is related to swarf management and in close collaboration with many of our customers, we have already overseen the investment and installation of numerous briquetting machines on our customers' sites. No more deductions for moisture or oil content - you are paid for the weight of pucks recorded at your premises. Once briquetted, pucks are easily stored and transported in collapsible stillages, forklift containers or skips. The coolant which is pressed out of the swarf can be recycled and pumped back into a filtration system, thus reducing your spend on new coolant. 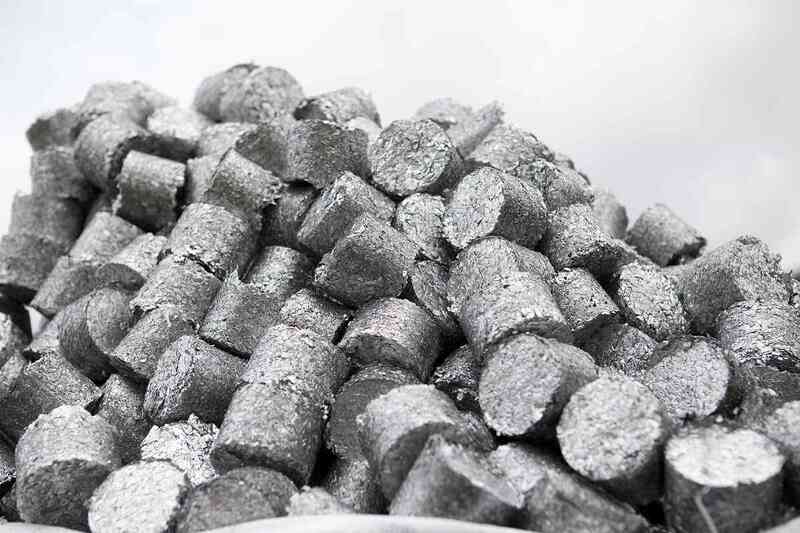 A briquetting system removes the problems associated with the handling of loose wet swarf, such as spillages and disposal of waste coolant. 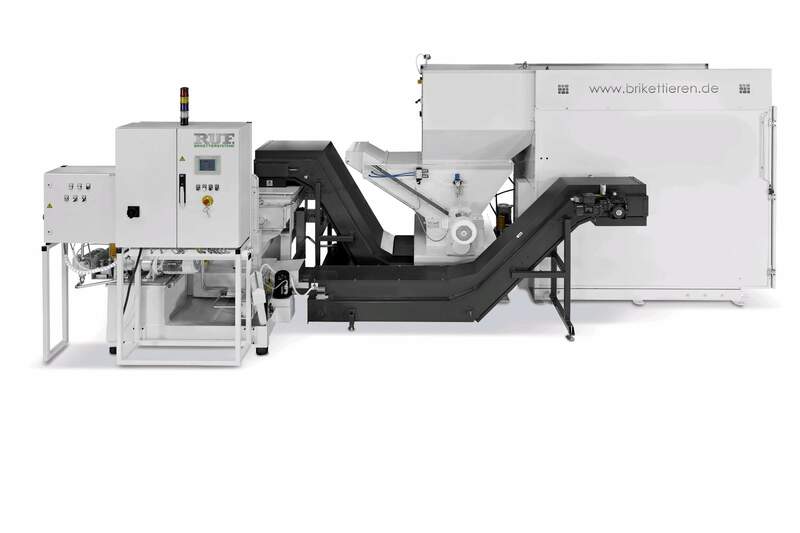 By pressing the swarf, you can reduce the volume of the material by as much as 20:1 - this obviously means fewer collections are required, not to mention the benefits of recycling the coolant. All of the above benefits can be achieved without the need for any capital expenditure on your part. Tom Martin & Company can offer a briquetting press as well as a coolant filtration / recycling unit as part of a waste management package. For a no obligation site survey, please contact us. You can choose from an extensive range of briquetting machines and formats to best suit your operational requirements, with throughputs ranging from 20 kgs right up to 4800 kgs per hour. Tom Martin has a number of strategic partnerships with suppliers of briquetting machinery, allowing us to offer a package tailored to your individual needs. Additionally, we are now able to offer packages tailored to the ever-increasing number of hard metal machining facilities. Our service often extends beyond the basic installation of the briquetting machine, in many cases incorporating the installation of centrifuges, conveyors and other ancillary equipment, right up to a full scrap handling service where Tom Martin & Company has employees working full-time at your facility. Our unrivalled knowledge in this field means that we are fully conversant with all issues from the moment the metal scrap is generated on your individual machine, right through all of the processes, up to and including the material being charged and recycled in one of our many consumers' furnaces. Established In 1948 From humble beginnings, the company now handles in excess of 50,000 tonnes of non-ferrous metals every year, from a number of facilities across the length and breadth of the United Kingdom and continental Europe. © Tom Martin & Co Ltd.